every man is clerk of the signet. that pain is a present. 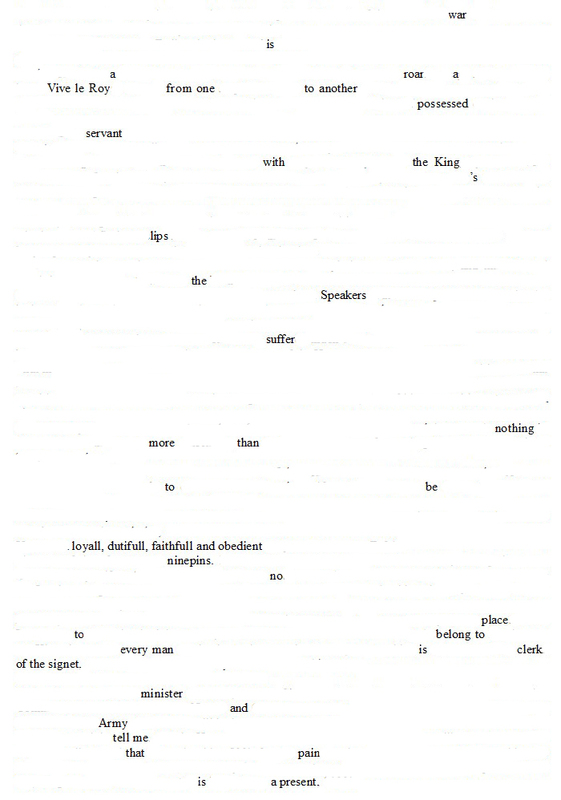 Erasure poem derived from The Diary of Samuel Pepys, Friday 4 May 1660.